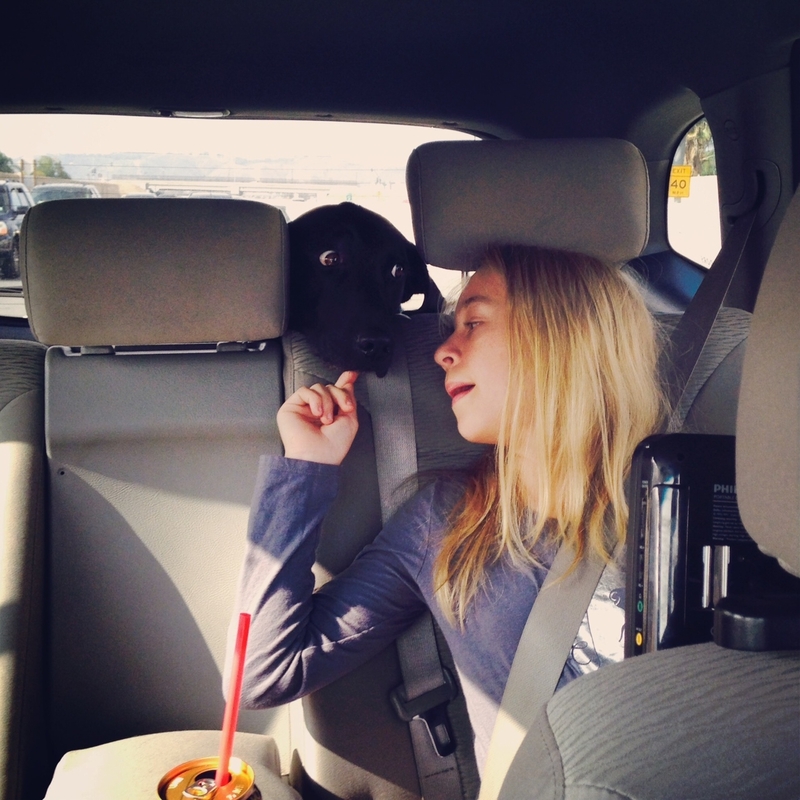 We spend a lot of time in the car. Always on the run somewhere, and in Los Angeles, prone to extended periods of being stuck in traffic. While we are in the front seat, the kids aren’t technically far away, but I can’t tell what my daughter’s blood sugar is doing easily or safely while I am driving and she is in the back seat listening to her iPod, playing with her brother, or sleeping. 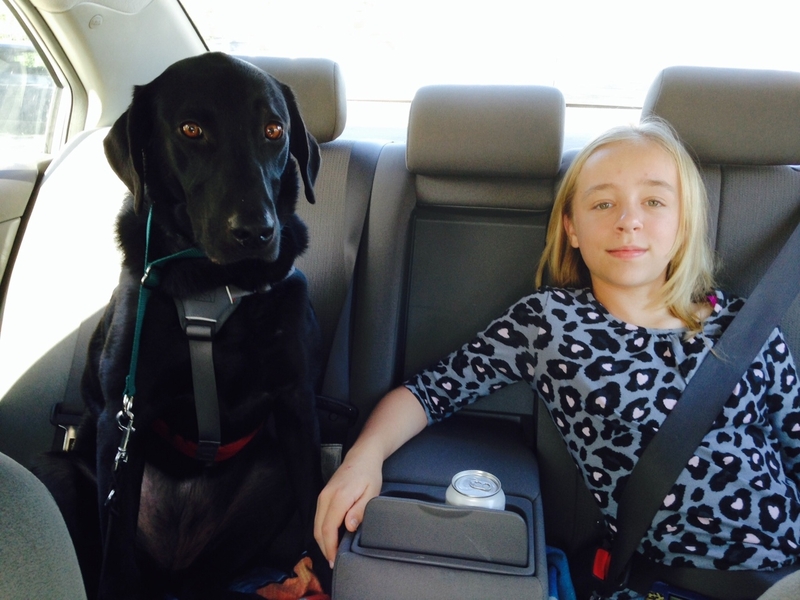 Raven, one of our diabetic alert dogs (a DAD for short), does alert in the car. But we noticed recently that it was noticeably less often, so we decided to go back to the drawing board and work on fine tuning it a bit. This post gives you some background on where we started, some things we tried (that did or didn’t work), and where we are now. We are a family of four, with 2 DAD’s, and when we go out for a day, we carry a lot of gear. Diabetic supplies, dog gear, photography equipment, and often times our own food. We have a small SUV that we normally take, and that is my wife’s daily driver. I have a small 4 door sedan that I drive, and that I often use if it’s just the kids and I or 1 kid and a dog. Major doesn’t alert in the car. Due to his past history, he shuts down in the car. 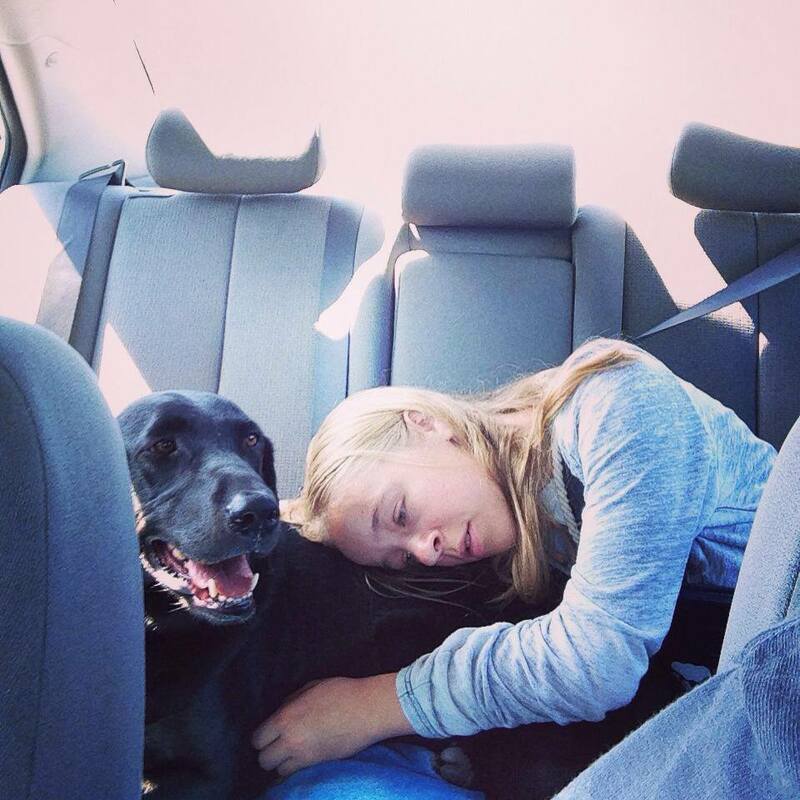 So we always let him lay down in the back of the SUV and sleep. He never disturbs anything, and is a very good passenger. 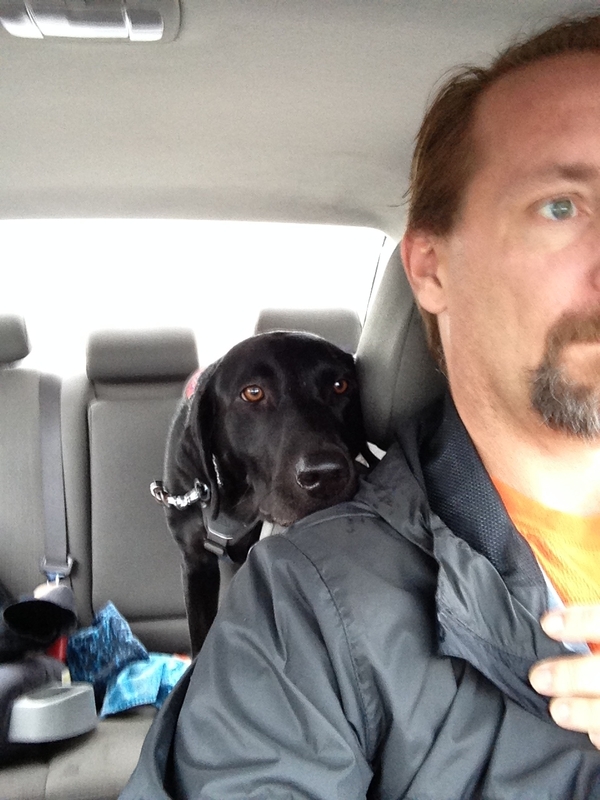 Raven does alert, and she will alert from the rear of the SUV. 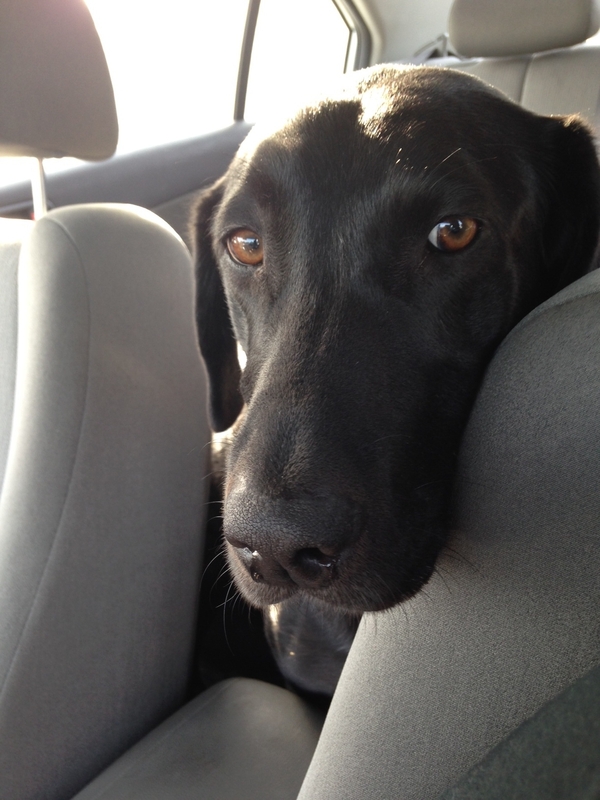 Her alert from the rear of the SUV is to hang her head over Stella’s seat and nudge her with her nose. This works fine, if I notice it and/or Stella is awake to let us know she is alerting. But there are times that this isn’t so noticeable. 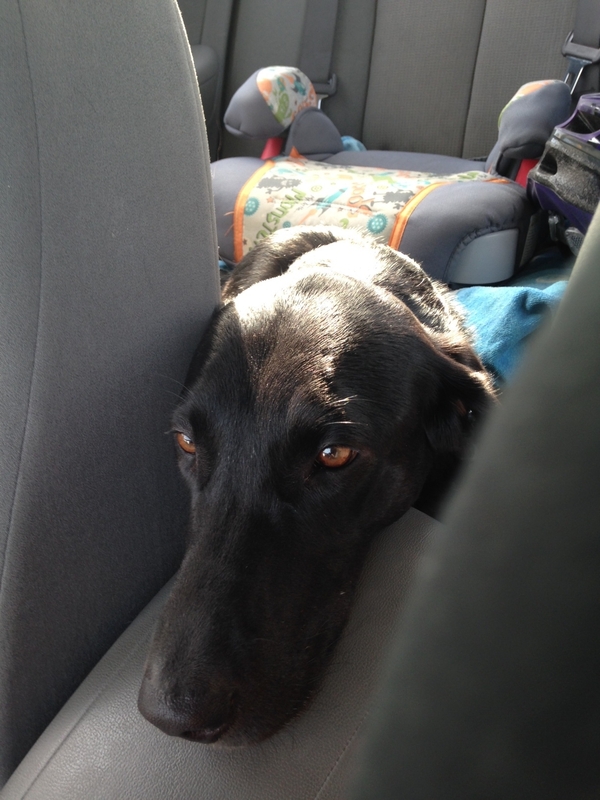 Like at night, black dog in the dark, and with 2 kids sleeping in the backseat. We would also have an issue if the kids were eating something in the back seat. Is she alerting? Or does she smell french fries? (yes she can eat that). Sometimes it was hard to differentiate between an alert and curiosity. We tried hanging a bringsel on the back seat, but if she alerts and pulls the bringsel off, then I need to pull over, stop the car, and re-hang the bringsel. Not very conducive to going places in a hurry. We also have the issue of riding in my car. 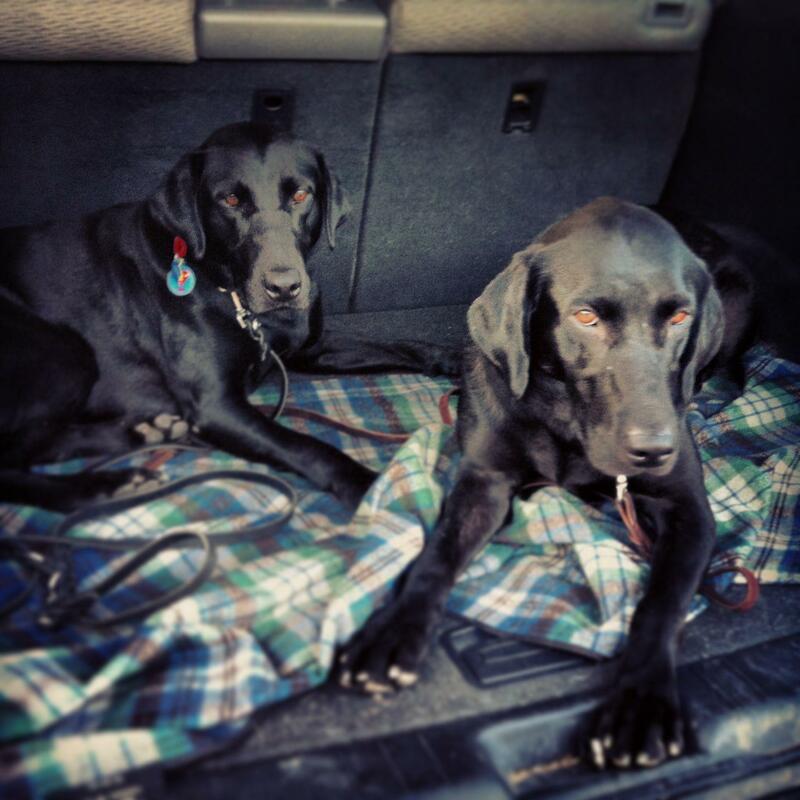 In the car, our dogs have to ride in the back seat. Different vehicle, different seating arrangement, different behaviors. So I wanted something that was going to be transferable. A way to work the alert behavior chain that was going to be, if not exactly the same, similar enough no matter what vehicle we were in. That lead us to at least realize whatever it is going to be, it needs to be from the back seat. My car doesn’t have a section behind the seat for them like the SUV does. 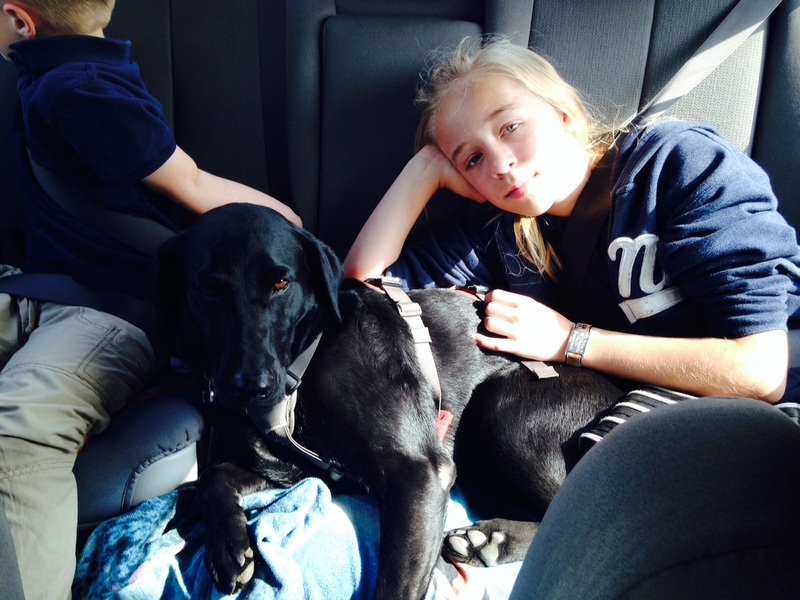 So our first step was bringing Raven into the back seat. Having her on the seat with Stella works somewhat. We can easily recreate the scenario in both of our vehicles. But what we occasionally see is them getting comfy together. And sometimes, when they are comfy, alerts might get missed. But I felt like I was on the right track. I felt like with a tweak or 2, I could really make this work. So I drove Raven around for awhile, over the course of a couple of weeks, and would put her in different spots. In my mind, I was envisioning her being able to alert to me subtly, at 11;30 at night, driving down the freeway, with 2 sleeping kids in the back, without disturbing them. I would use a low scent sample while I was driving, and put her on the seat, behind me, on the passenger side, in various spots. Sometimes Stella would be with me, and if she was high, we would work that too. I started to see progress in consistency, but I needed to fine tune the alert behavior. 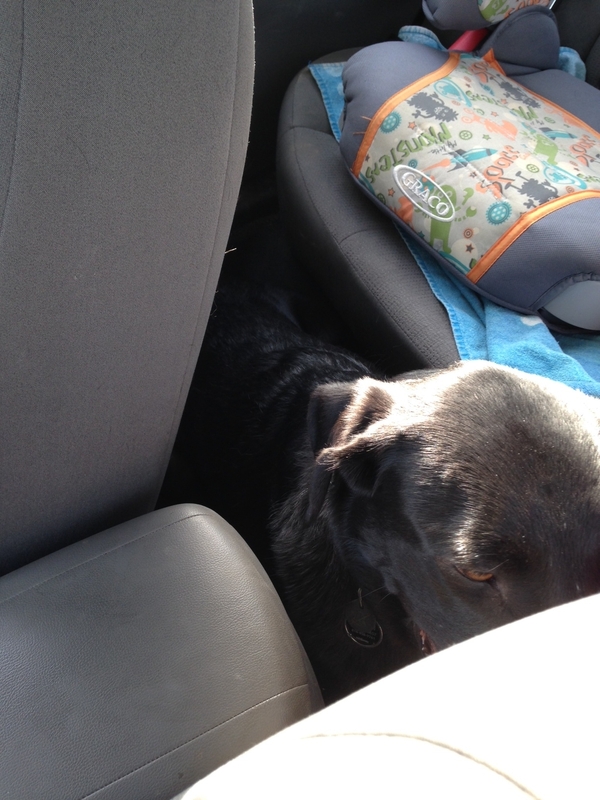 I didn’t want to fool around with a bringsel in the car, and I didn’t want her to alert to the kids in back. I wanted her to get the front seat passengers attention. And now what happens is pretty awesome. We get a 2 stage alert. The first stage is her head rises up as she catches the scent, she starts to stir, and her head goes on the arm rest. Stage 2 leads to her standing up and nudging me in the shoulder. Hope this kind of info helps. If you have any questions, let me know. Hey, I just shared and tweeted. This is so interesting. I wondered if routines are ever changed or is it only when something doesn’t work. Very nice! What do you use to transport the scent sample in the car? And do you make sure that Raven isn’t aware of it until she smells it? Thanks, and do you prefer these tubes to test strip containers? Do you have to sterilize them before you use them? Also, when you freeze them, do you place them inside a freezer bag? We are always fine tuning Bear’s training. Great post! Hi and thanks for the post! You mentioned missing an alert if they are both together in the back seat and getting too comfortable. I wonder if this also applies to night alerts : my DAD sleeps on my bed and night alerts have all but stopped. I’m wondering if my DAD needs to be on the floor next to my bed ? ?